North Korea has replaced all of its border security guards after the harrowing escape of a fellow North Korean soldier, a source has told South Korea’s main news agency. The soldier, known only by his surname, Oh, ran through a hail of bullets and had to be dragged out of harm’s way by United Nations Command Security Battalion soldiers on Nov. 13, after he made a run for South Korea through one of the most heavily guarded areas on the border. The 24-year-old soldier was shot at least five times and remains in the hospital, recovering from his wounds, malnutrition, and a severe infestation of parasites. Doctors revealed he also has inactive tuberculosis and hepatitis B. 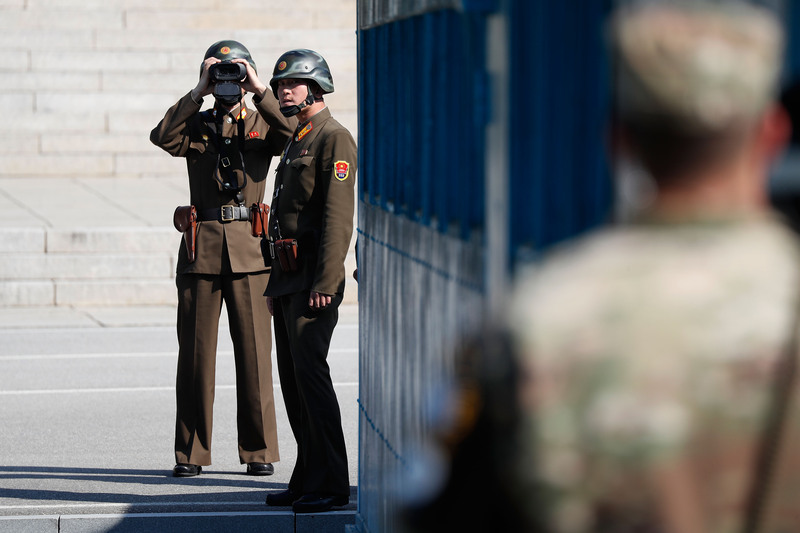 On Thursday, an intelligence source told Yonhap News Agency that border guards were replaced in what seems to be a response to their inability to prevent the defector’s flight across the Joint Security Area. The possibility that Oh was also a border guard may also be a factor. The source said the North Koreans appear to have tightened screening for personnel coming in and out of the Demilitarized Zone (DMZ). The source said the regime also seems to have temporarily closed the bridge the defector drove on to get to the northern side of the Joint Security Area where soldiers from both countries stand face-to-face. The guards reportedly fired around 40 rounds in their attempt to stop Oh and twice violated the armistice that North Korea signed with United Nations Command (UNC) to halt the hostilities of the Korean War back in 1953. 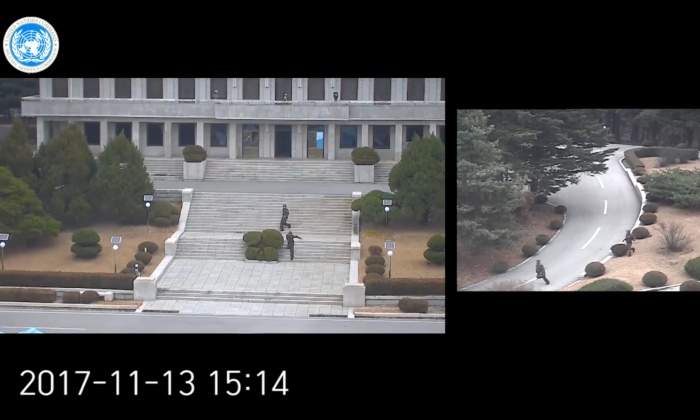 In findings released Wednesday, UNC said North Korea broke the armistice by firing across the Military Demarcation Line that separates the two countries, and by one of its soldiers stepping across the line in pursuit of the defector. Oh drove a jeep along the road leading to the Joint Security Area, also known as the truce village of Panmunjom, attracting attention from guards when he did not stop at a post along the way. 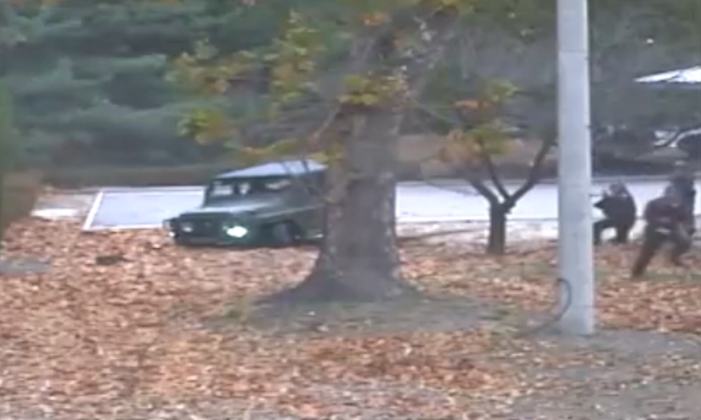 He then leaped from the jeep after it got bogged and sprinted the remaining distance to the Military Demarcation Line as North Korean border guards ran right behind him, shooting. 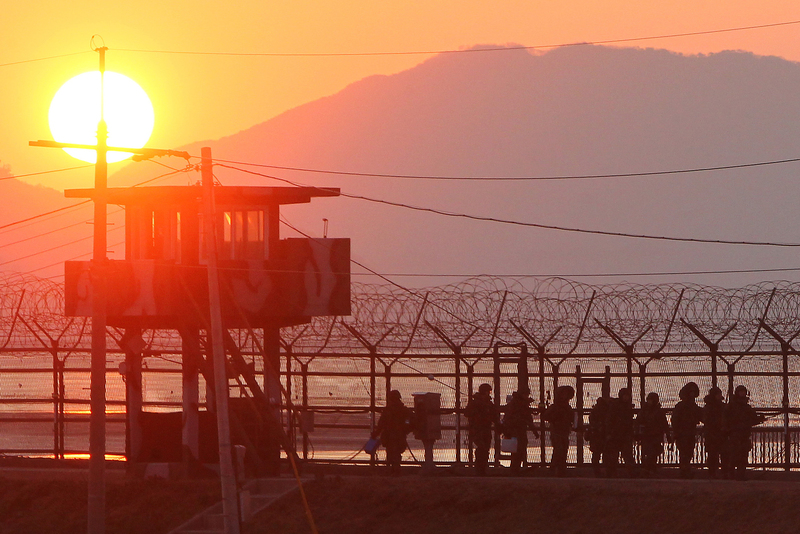 Few North Koreans attempt to defect along the country’s border with South Korea because it is heavily guarded with a 2.5 mile wide Demilitarized Zone (DMZ), which separates the two countries across almost the entire border. While the two countries host discussions and exchanges through the Joint Security Area, which is within the DMZ, it is also heavily fortified, staffed with many guards, and is all but impossible to pass through undetected. 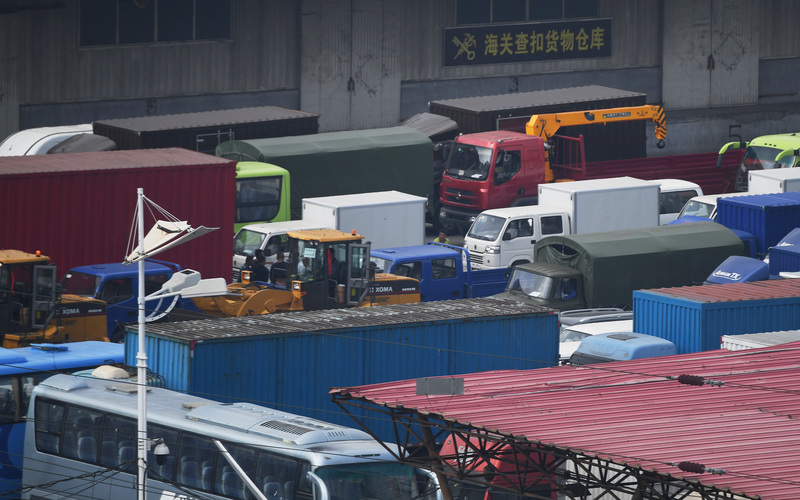 Most North Koreans flee through the country’s less-fortified border with China, where trade and civilians are more common. But according to a South Korean official, Oh is believed to be an army staff sergeant who was stationed in the Joint Security Area, reports the Guardian. If true, it would explain how he managed to get so close to the border without being stopped.